Fred Bretschger joined The Saint Paul Chamber Orchestra in 1980. Originally from the New York area, he began playing the bass at age 16 and attended the North Carolina School of the Arts and the Cleveland Institute before completing his musical studies at the Juilliard School. In 1976 he joined the Buffalo Philharmonic, then became principal bassist of the Indianapolis Symphony in 1978. 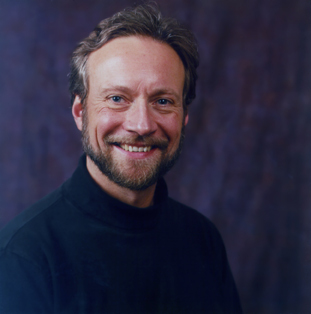 As a chamber musician, Bretschger has appeared as a guest artist with the Chicago Chamber Players and the Los Angeles Piano Quartet, Strings in the Mountains, and Bravo! Colorado music festival in Vail. He has performed at the Tanglewood, Aspen, Grand Teton, and Santa Fe Opera Festivals. Since 1993 he has been on the performing faculty at the Sarasota Music Festival. He has conducted many 20th-century works nationally including a full-scale production of Stravinsky's Soldier's Tale. His Fantasy Duo for Cello and Bass has been performed across the country. Espanola is dedicated to David Walter - the first person who could convince me that etudes can be fun. His generous spirit and wonderful gifts of bringing style and magic to music is an inspiration to us all.